When is a violin not a violin? Would a rose by any other name smell as sweet…? There are no violin auction houses who currently offer legally binding guarantees of attribution. If a violin is sold with a recent certificate from an internationally respected ‘big name’ then that’s not an issue, but in all other cases you need to know for sure who made the instrument. 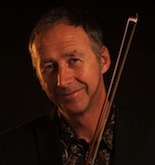 If you discover the day after the auction that your bargain violin is mis-attributed, you can’t take it back (unless it’s a deliberate fake and you can get an internationally respected expert to put this in writing). When you think about it, this accounts for some of the low prices from past sales – an auction house will record an item as sold and use the catalogue description of it, even if the dealers in the room knew it was fake, didn’t bid, and let it go to a naive bidder at a low price. Then miraculously there’s an online record of a bargain price for a Montagnana to encourage other inexperienced buyers to think about buying a violin at auction. And there’s someone out there who’s going to be very disappointed in their ‘investment’ when the time comes to find a buyer for what they thought was a valuable instrument. Should I take a dental mirror and an endoscopy torch to the auction? 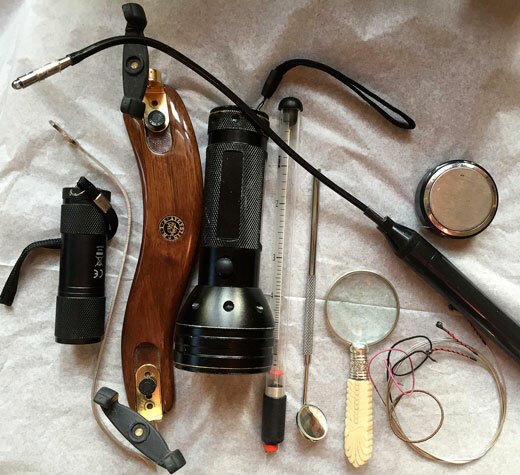 magnifying glasses, UV torches and a hotline to a respected dendrochronolgy expert. The condition reports offered by the auction houses are not legally binding and are often partial. Many instruments at auction have condition issues which require an expert eye to identify. The guy you see giving a violin a thorough medical examination may not be after the same ‘bargain’ as you, but he’s working hard to avoid spending money on something which has an undeclared condition issue. An undetected post crack in the table could reduce a violin’s resale value by 15-20%, an invisible post crack in the back more like 50%. Of course, once a violin is sold, the auction house can make the sale price public without saying anything about the violin’s condition. Once again, auction prices look cheap online – but that cheap violin someone bought at the last auction could have cost more to get into good playing condition than it did to buy. Are there any hidden costs of buying a violin at auction? The sale prices used by auctions are the hammer price. On top of that the purchaser has to pay a hidden cost – the buyer’s premium, which is typically 20%, plus tax. So if you bid £10,000 in a UK auction you will have to actually pay £12,400 (£10,000 plus £2,000 premium plus £400 VAT). If the violin you are bidding on is imported from outside the EU you may have to pay VAT on the instrument as well as on the premium. If you are not VAT registered you can’t claim that back, so check the small print. There are similar issues in other countries. The recorded sale price for violins routinely don’t include taxes. And if you are discussing prices with someone, make sure you know whether they’re including the buyer’s premium or whether they’re just talking about the hammer price. It’s easy to forget this when comparing online auction prices with violins being sold by shops or dealers. When you see a price in a shop or on a website that is the maximum you’d pay for the instrument – there are no hidden extras. If you live somewhere like London or New York and can just drop by on an auction you’ve got an advantage, but anyone else should factor in the cost of travel and accommodation – remembering that the viewing will be a day or so before the auction itself. You could go to the viewing and then bid from home online – but some auction houses charge 3% extra for that service. If I change my mind I can always put an instrument back into the next violin auction – right? So why do dealers go to violin auctions? Actually, a lot of violin dealers love the thrill of the chase. It can be addictive, and even experienced dealers have been known to make a fool of themselves bidding over the odds for something in the heat of the moment. Often dealers are looking for violins which have been wrongly attributed to lesser makers. They are hoping that their ‘eye’ is better than that of the auction house experts. If a dealer has a hunch that something is better than its catalogue description (or the label) they will try to buy the violin, then research who the real maker might be. With a certificate from an expert with specialist knowledge of the maker, a violin is worth more. But finding the right person to certify a violin means developing contacts, a surprising amount of international travel, and paying as much as 15% of the violin’s worth for the certificate. Another dealer strategy is to buy something which is cheap because it needs serious restoration. If a violin shop employs staff to repair customer instruments it’s useful to have something they can work on in quiet periods. In a few years’ time the bargain auction violin will have been carefully restored and be worth considerably more than it cost at auction. It might not have been a viable purchase for anyone else, but it works just fine if the salary of the shop’s luthiers is covered by their day to day work. Generally though, dealers are just spreading their risk – if they buy ten instruments at a sale and discover afterwards that one has a hidden bassbar crack and another is not by the maker it was attributed to, that loss that can be spread over the other purchases. A few dealers have developed a skill for judging the tonal potential of violins even if they are poorly set up. Someone like this might go to an auction, play 200 violins, find perhaps 10 which are of interest and be happy to buy four of them. It’s a talent. Why do violin auctions keep some instruments back for private sale? 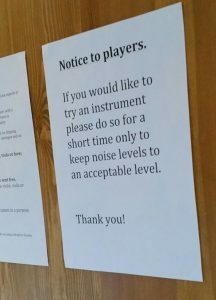 Umm… those are the violins that they have full confidence in. Think about it. And then maybe take a look at the auction terms and conditions. I still want to try my luck at a violin auction – what should I do? OK, fair enough. There’s a buzz around violin auctions and, although the odds are against it, you might just get a bargain… If you like the thrill of a casino and don’t mind making a few expensive mistakes, go for it! Get hold of the catalogues in advance and make a shortlist of instruments you are interested in. Ask for condition reports for all of them and do some research to see how the violins you are looking at compare with the rest of the maker’s output (even if something is genuine, it may be a less valuable model or from a low point in the maker’s career). 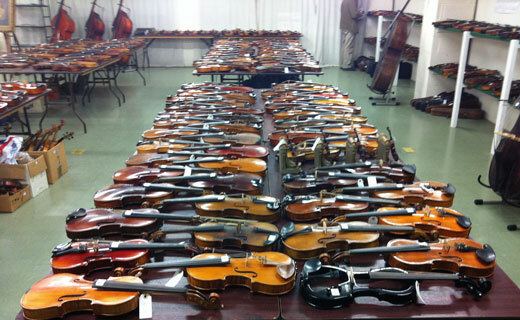 Check if any of the violins have failed to sell at previous auctions. Before the viewing day think about what you want from a new instrument. When you are playing violins at the viewing try to compare their sound in your mind with the sound of your current violin. Narrow down your shortlist. But don’t show too much interest in something you really like as it will draw other people’s attention to it. Your worst enemy is someone like yourself, looking to upgrade their own violin, as they will tend to bid higher than anyone else. Experienced auction-goers keep a poker-face when trying out instruments, so if you see someone play a violin for 30 seconds before putting it down they could be thinking that it’s complete junk, or that it’s the best in the sale. After the viewing you need to think about what you are prepared to pay. If you look at past auction prices as a guide, be aware that the online sale price of a violin sold in a previous auction doesn’t mean that you could have bought it for that price. You don’t know what the buyer’s limit was, and if you had been in the bidding they might have gone up far higher before dropping out. Prices depend on who is bidding on the day. When the time comes to bid, try to see if there are dealers bidding against you, watch when they stop, and don’t go much higher – they know the value better than you do. Auctioneers are happiest when two or more naive buyers are bidding against each other – they may each rely on the other to confirm their sense of how much the violin is worth. One of them will walk away having committed to pay an inflated price for something just because the two of them kept bidding against each other after the experts dropped out. There’s a myth that violin auctions set a ‘fair market price’ for instruments but the amount a violin will fetch at auction depends on how it’s described, what estimate is put on it and on who happens to be interested at the time – on a quiet day prices will be lower. In fact, prices can be very surprising – in both directions – and it’s often hard to spot the reasons. Try not to bid more than you planned to. And don’t be tempted to buy something you hadn’t looked at properly just because it’s going cheap. The language of auctions says you might win a violin. Just remember that you could also lose on the deal if you buy something which is not authentic, has condition issues, turns out not to sound as good as you’d hoped or reached an unrepeatable price because you and one other bidder went a bit soft in the head. Violin auctions can be fun, but for the majority of players, buying at a violin auction turns out to be a kind of drunken one-night stand. And when there’s a lot of money at stake, it’s good to know who you’re going to wake up with in the morning. 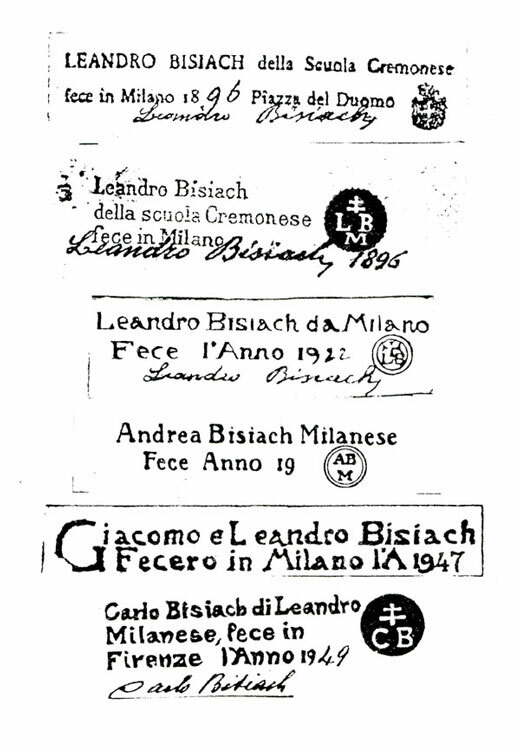 Well none of us were there at the time but there’s broad agreement that this was made by Bisiach or by someone in his workshop, or was ordered by Bisiach from Nonno down the road … or maybe Nonno’s brother. But Bisiach definitely made it or had it made and the label is legit. Not by Bisiach, but it has a certificate from Jacques Francais from 1995 so if you’re unscrupulous you should be able to sell it as a Bisiach. Sort of like number 1 but we’re not 100% sure. Might have been made by Nonno’s brother – definitely that sort of thing. This is probably a Linguine. You know, Linguine was always jealous of Bisiach. I reckon he half-inched some of that nice quilted maple and a label or two and knocked this one up out of sheer spite. It does look incredibly like a Bisiach except it doesn’t have any f-holes. It’s a fake. You can kid yourself that it’s a Sgarabotto but we did a dendro and it can’t be. Get real, this is the violin trade ….